Mercedes have admitted that they did not expect to be so far ahead of a high-powered Ferrari in Chinese GP qualifying. Pole-sitter Valtteri Bottas and team-mate Lewis Hamilton secured an impressive one-two in Shanghai and finished three tenths of a second ahead of Ferrari's Sebastian Vettel and Charles Leclerc. 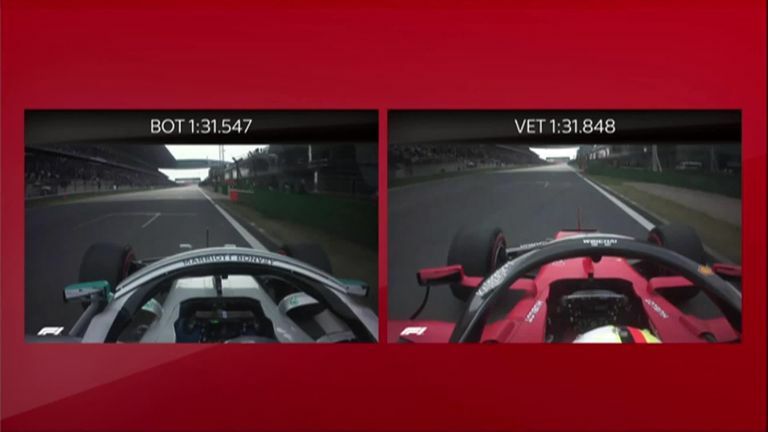 And asked if he was surprised by the size of the gap, Bottas told Sky F1: "Yes. This weekend we've been super strong on the corners. Although we are losing time on the straights, we've been gaining more [elsewhere]. "We did have some improvements this weekend and they have definitely been working. So far we have been delivering on a level that we need to." 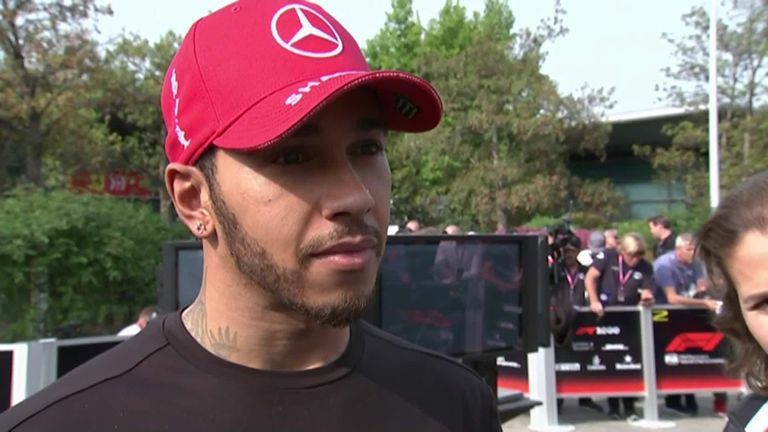 Hamilton, who finished two hundredths off Bottas in a tight qualifying in Shanghai, added: "I thought it was going to be a bit closer than it was. "I didn't know where we were going to be this weekend in terms of relative pace compared to [Ferrari and Red Bull] but this is a great result and a true showing of strength." After being outpaced by their rivals in Bahrain, Mercedes returned to pole in style. Though their advantage was not as large as it was in Australia's season-opener, Ferrari were expected to be strong in the power-friendly China, where they secured a one-two themselves last year. "It was just really, really strong by Mercedes," said Sky F1's Nico Rosberg, who won his 2016 world championship with Mercedes. "They just dominated." Ferrari will now hope to be close enough to Mercedes at the start of Sunday's race, which starts at 7.10am on Sky F1, so they can use their engine power. 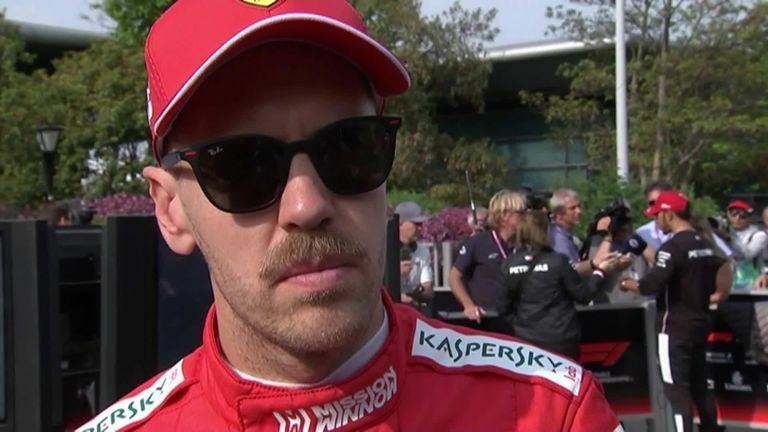 "I think you could see in qualifying it was slipping away from us," admitted Vettel. "I'm OK with P3, I would have liked to have been in the front row but they were quite far away in the end. "They are bloody quick in the corners, When we get close we have an advantage on the straight line so maybe we can do something there." Leclerc, meanwhile, told Sky F1: "I did a mistake in the last lap and shouldn't have done that. There was potential to do more today."